Eurocell has unveiled its latest new branch, in the medieval market town of Tewkesbury. The branch is in a prime location at Unit 1, Tewkesbury Trade Park, which is within minutes of Junction 9 on the M5. Tewkesbury is the latest Eurocell branch to open, bringing the total around the UK to over 135. With a focus on customer service and unbeatable value for money, installers and DIY’ers are sure to get hold of a great deal on over 4,000 high quality building plastic products in the new branch. Following in the footsteps of other recent branch openings, Tewkesbury features a large trade counter with multiple product categories on display in stocked bays. The product display area showcases a wide range of roof kits, alongside bi-folding doors, entrance doors and Eurocell windows. All the product displays are supported with useful point of sale materials, such as free-of-charge homeowner brochures, step by step videos and sample swatches, to offer installers and DIY’er the best in-store experience. 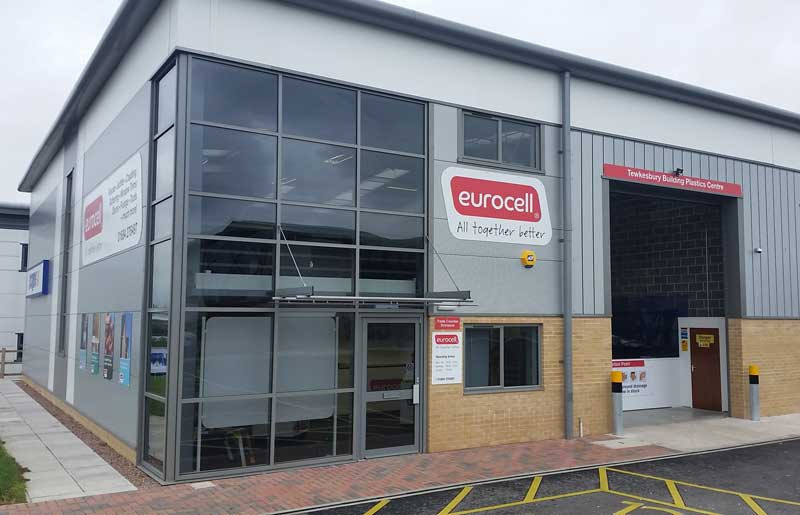 Eurocell manufactures many of its items offered in the branch at its Derbyshire headquarters, which means customers gain all of the benefits of buying direct, such as better stock availability and a more consistent quality assurance. The company’s 4,000-plus quality building plastics include PVC-U roofline, rainwater systems, interior skirting and cladding products, along with window finishing trims, doors, conservatories and tools. The Tewkesbury branch offers free of charge next day delivery on all orders over £100 (ex vat). Telephone the branch team on: 01684 276497 or email tewkesbury@eurocell.co.uk.